 All of our Student Peer Ambassadors are the foundation of our mission in putting the end to bullying. Even more satisfying is that these young Student Peer Ambassadors become adults, and when they carry our message to their universities, work places, friends, families and communities.  And that’s how the GAB mission becomes global. We are always reminded of that when a former Peer Ambassador takes the time to contact us… certainly a stellar example of this is recent letter received from former Peer Ambassador; Shannon Fuller. I don’t know if you remember me, but this is Shannon Fuller from the GAB promotional video. I just wanted to drop you a line and say hello. I really wanted to let you know that I am going to be a teacher this fall at St. Thomas Aquinas Academy (STAA) in Milwaukee. I showed your video in one of my Master’s classes, and it reminded me that I hadn’t contacted you in a long time. I showed the GAB promotional video in my classroom management course as part of a project that I did about bullying in elementary and middle school classrooms, and I forgot how young I was then. One of my classmates was surprised at how young I looked in the video despite the fact that it is only about five years old. On that note, I’m doing very well, and I am very much looking forward to becoming a teacher. I am joining the STAA staff as a 5th and 6th grade Social Studies, ELA, and Hebrew Scripture teacher. I am teaching through the MAGIS Catholic Teacher Corps at Creighton University. However, as I will no longer be in Omaha, I am hoping to be able to be in touch a lot more. 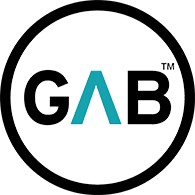 I am so glad to see that GAB is still going strong, and I wanted to let you know how thankful I am to have been a part of your mission and to be able to show my students the powerful video you have on YouTube. I am so blessed to be able to share the voices of people just like my students with my students, and, lastly, I wanted to let you and GAB know that you have opened an invaluable door for me to my students. Bullying is never something that a child should have to deal with, but sadly many of them do. However, with the tool you have provided you have given me the opportunity to let my students see that even their teacher has been bullied and made it through. So, thank you so much for everything, and I hope we can stay in touch.